BEST DEAL - FASTER! 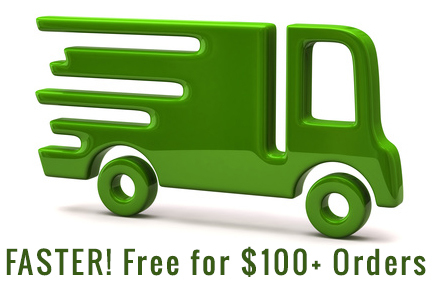 2 to 4 Day Shipping just $6 for any continental US order and FREE on all $100+ orders. 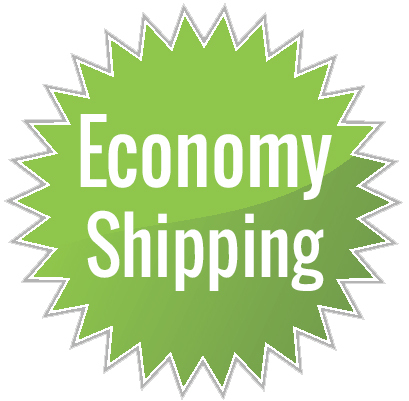 ECONOMY Shipping is FREE on US orders over $100, only $5 on smaller orders. We ship Monday through Friday, except holidays. We usually ship the same day for orders received by Noon Eastern Time. 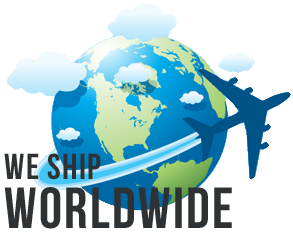 Our delivery times are quoted in ‘business days’ - weekdays (except holidays), starting the day after our ship date. NOTE: A small group of overweight items may be subject to extra charges, check for Shipping Info on product pages. For AK and HI, USPS Priority Mail ia $10. ECONOMY - OUR LOWEST COST! NOTE: A small group of overweight items may be subject to extra charges, check for Shipping Info on product pages. NOTE: AK, HI, PO Boxes, APO/FPO, Saturday delivery, special orders and overweight items, please email Service. Next Day Air Saver may not be available to certain remote locations. These services are guaranteed by UPS and some conditions may apply. NOTE: For special orders, overweight items and trackable expedited delivery, please email Service.